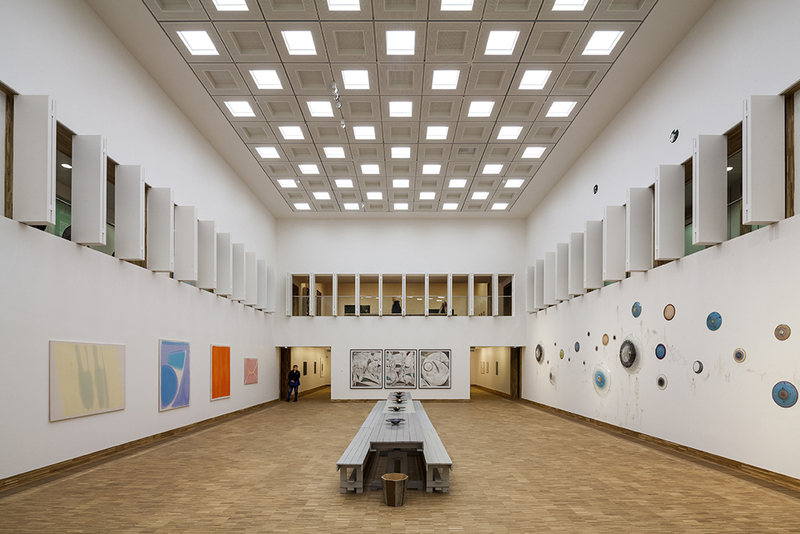 The Eemhuis combines a number of existing cultural institutes in the city of Amersfoort: the city library, the exposition centre, the heritage archives and a school for dance, music and visual arts. It is located on an urban redevelopment area close to the city centre. 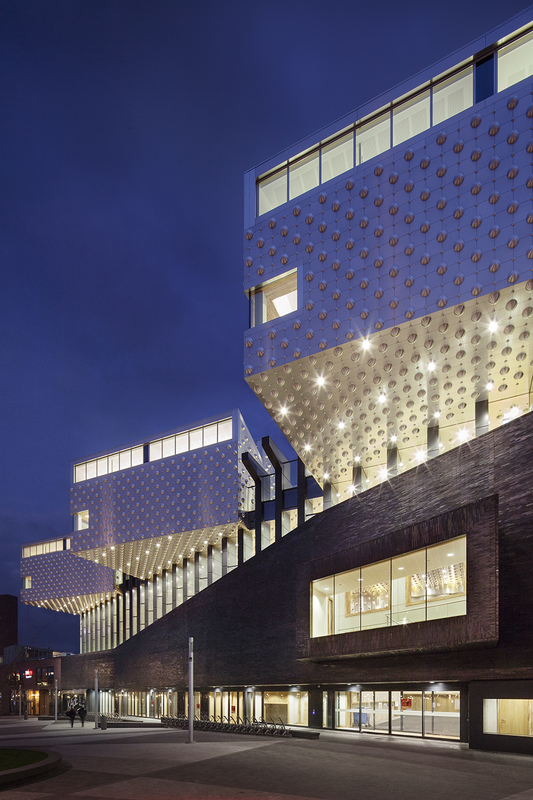 The building is organized as a stacking of the cultural programs. The public domain is continued into the interior of the building in all directions. At the ground floor, the public square becomes a covered plaza, with a grand café and entrances to the various functions. The exposition centre is set directly off the square on the ground floor, with a large central exhibition hall that is half sunken in the ground and is surrounded by an enfilade of smaller exhibition rooms. 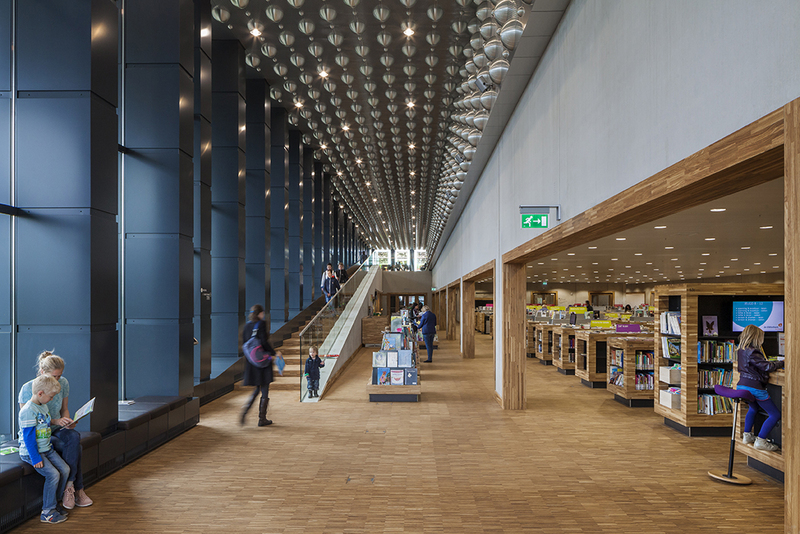 The library is a plaza of stepped information terraces as a prolongation of the city square that brings the visitors up to the main library floor. 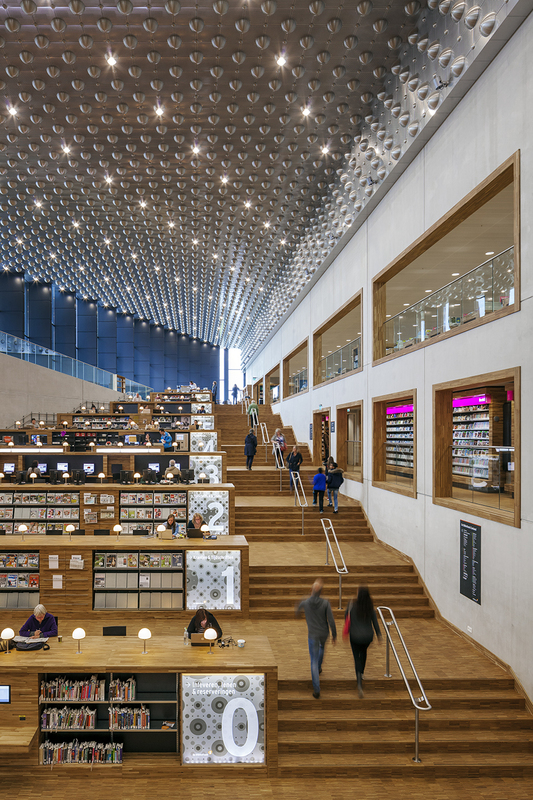 At the top of the stairs the library spills into a vast open space with book stacks and reading and study areas overlooking the city. 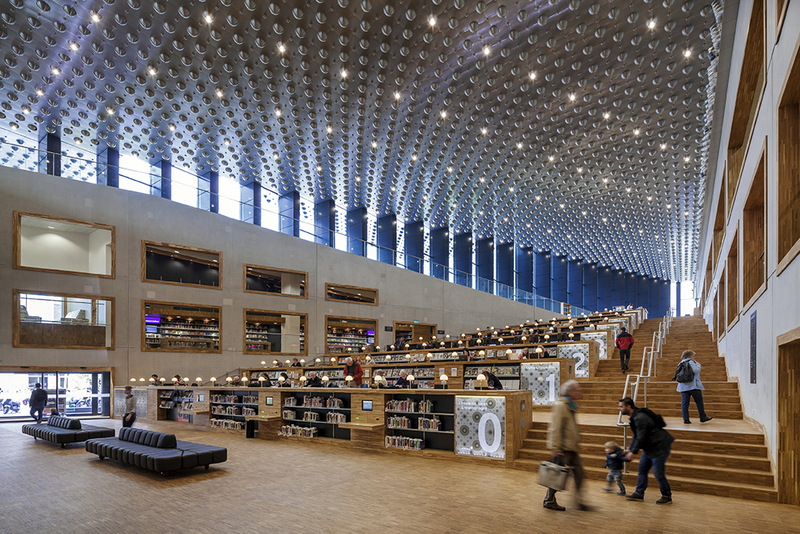 Above it hovers the archive volume that forms the ceiling of this space. The attic of the building houses the arts school. The three arts departments (theatre & dance, visual arts and music) are each expressed separately as cantilevered beams that crown the complex. The façades are composed of a classical tripartite as imposed by the master plan. The plinth is made of 30 cm long elongated glazed bricks, reinforcing the horizontal lining. 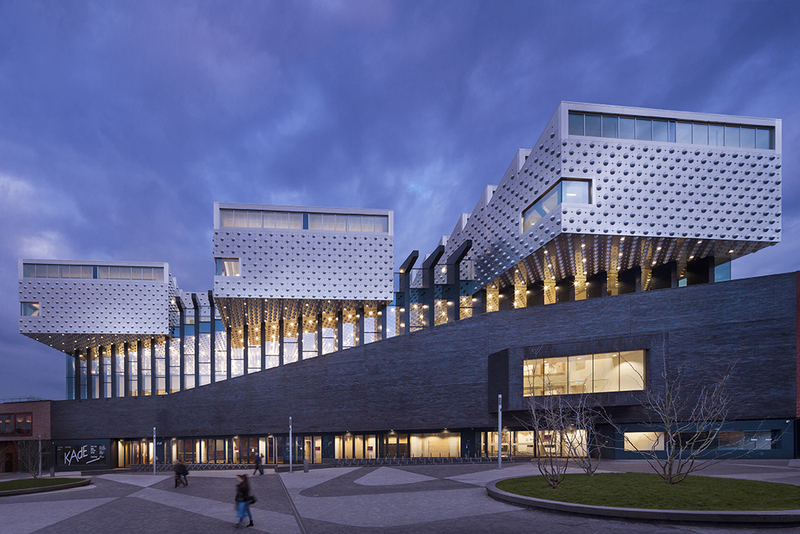 The crown of the building is made of metal panels with a dotted pattern of semi-spheres that enhance the alienating quality of the cantilevered volumes against the northern Dutch clouds.